Clarksville, TN – Clarksville Mayor Kim McMillan, Fire Chief Michael Roberts and Clarksville Fire Rescue will host Clarksville’s annual ceremony honoring fallen firefighters and the victims of the terrorist attacks on September 11th, 2001. The remembrance ceremony will include placement of a memorial wreath, bell ringing, guest speakers, presentation of flowers to families of fallen firefighters, and songs performed by the Clarksville Academy Choir. All fire service, law enforcement and emergency services personnel, the Clarksville City Council, City Department Heads, Montgomery County leaders, Clarksville-Montgomery County citizens, and the media are cordially invited to attend. 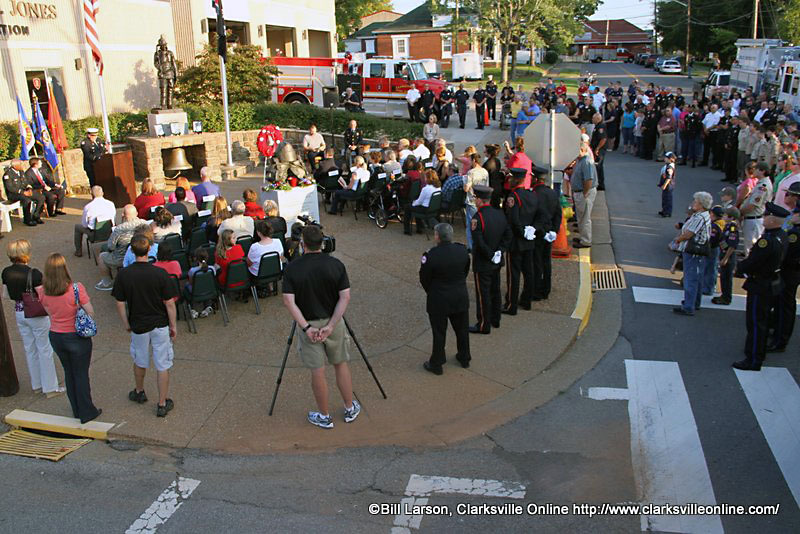 The annual 9-11 ceremony will take place at 6:00pm on Tuesday, September 11th, 2018 at Clarksville’s Main Fire Station at 802 Main Street.